At Life Coach College, we want to make sure we are a good fit for your Professional Coach Training. If you have any questions before applying for admissions, please feel free to call Life Coach College at 800-841-8776 to answer your questions and concerns. Life Coaching is not for everybody, but if you enjoy helping people, Life Coaching may be your natural calling in life. Starting December 5th, 2011, Life Coach College is offering a new coaching program. The new program is specifically tailored to busy professionals wishing to learn at home, at your own pace, on your own schedule. No more required mandatory training classes at specific times. With the invent of the internet, you are able to learn from home, when it is convenient for you. Due to the technology advances, used in our new coaching program, we are able to save you thousands of dollars. In 2003, this same coach training program cost $4,995, in 2006 it cost $2,495 and today using on line classes, the cost is only $895. If you have always dreamed of becoming a Life Coach, now is the time. There are three ways to register for Life Coach College classes. Starting December 1st, 2011, you will be able to click on the link below and automatically register for the 2012 Life Coach Training Program. If you wish to speak to an admissions professional at Life Coach College, please call 800-841-8776. We will contact you as soon as we receive your admissions request. There is no secret, you just have to live coaching, not just learn the theory. I started Life Coach College with the philosophy that we live coaching, we don't teach coaching theory. The first class was held in February 2003. 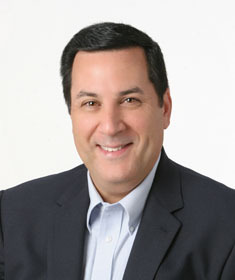 Jeff Wasserman, the founder of Life Coach College hosts a weekly radio show, Life Coach Radio Show available on ITunes or visit LifeCoachRadio.com. Jeff is creating a coaching movement that is going to be the talk of the profession. Jeff is dedicating his time and resources to promote Life Coaching. He is not promoting his own coaching practice, he is promoting all Life and Business Coaches. Jeff believes that the coaching profession needs a leader, a visionary, a voice. Jeff has given hundreds of interviews to the media. Jeff has been nicknamed "The Voice of Life Coaching" or as they call him at the radio shows, "The Life Coach Guy." There are several coaching organizations in the world. Some focus on specific states or specialties, others focus on the international coaching profession. While others focus only on Life Coaches who attended a specific school or training program. The US Life Coach Association is open to all Life and & Business Coaches. We look to include all coaches, not exclude coaches. The USLCA is primarily centered around promoting the coaching profession as a whole and marketing for your business. We help bring coaches and clients together.